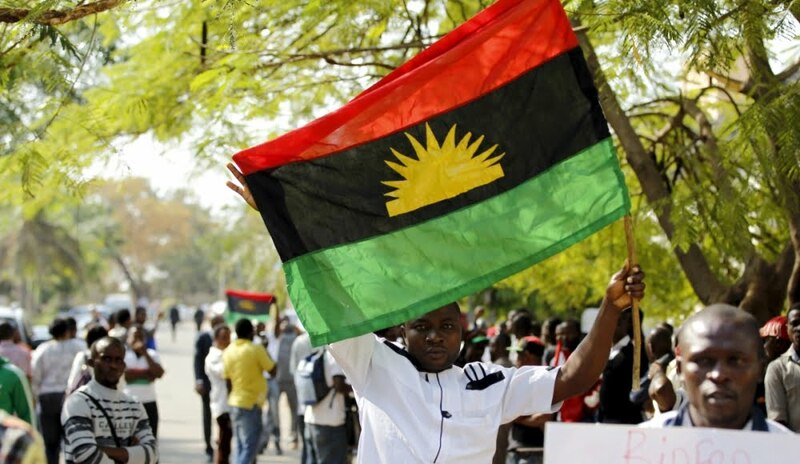 The Indigenous Peoples of Biafra (IPOB) has claimed control of political activities in the Southeast and South-South regions following the outcome of presidential and National Assembly elections. The group made this claim on Thursday in a statement by the deputy leader of the group, Uche Mefor-Okafor. He noted that in spite of the massive rigging that greeted the exercise, President Buhari could not win any state in the two regions. “IPOB is now at an all-time stronger stead and in a more vantaged, strategic position to drive home the Biafra Restoration project. “The calling off the boycott, the pronouncement by IPOB that APC cannot win the presidential (s)election under her watch demonstrated two inexorable facts: IPOB has the unquestionable influence to cause damages if they choose to boycott and on the other hand with the same seismic propensity to do same if they decide to participate. “Here is a point and which is obviously a vindication of her position: IPOB mandated that APC shall not be allowed to win the presidential (s)election anywhere in Biafraland under her watch and did that not happen despite their rigging? “From Anambra to Enugu to Ebonyi to cross river to Bayelsa to Rivers to Delta etc, tell me where APC won presidential (s)election, just name one. “If this is fact since no Biafran state or province was won by APC in that presidential (s)election sham, it is, therefore, absolute height of hallucination for anyone to suggest otherwise. “Whether anybody likes it or not, henceforth, IPOB shall be in control of Biafraland politically except where and when otherwise explicitly stated,” he said.